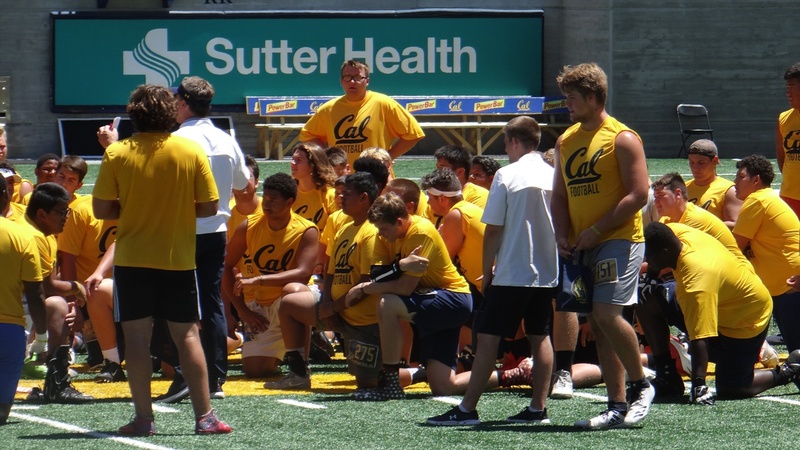 The Bears hosted a large group of prep players for the second of two weekends this month, with OL and DL/LB's going in the morning and QB's, WR's and RB's in the afternoon on a warm day in Memorial Stadium. Among the big visitors in the morning was DT commit Brett Johnson from Desert Vista (Phoenix, AZ) High School in Arizona. The talented DT is strong as a bull and was almost unblockable all day. Cal OLB/DE commit Braxton Croteau from Peoria, AZ's Liberty High School.